Mushrooms are one of the two ingredients I am never without. The other would be tomatoes. 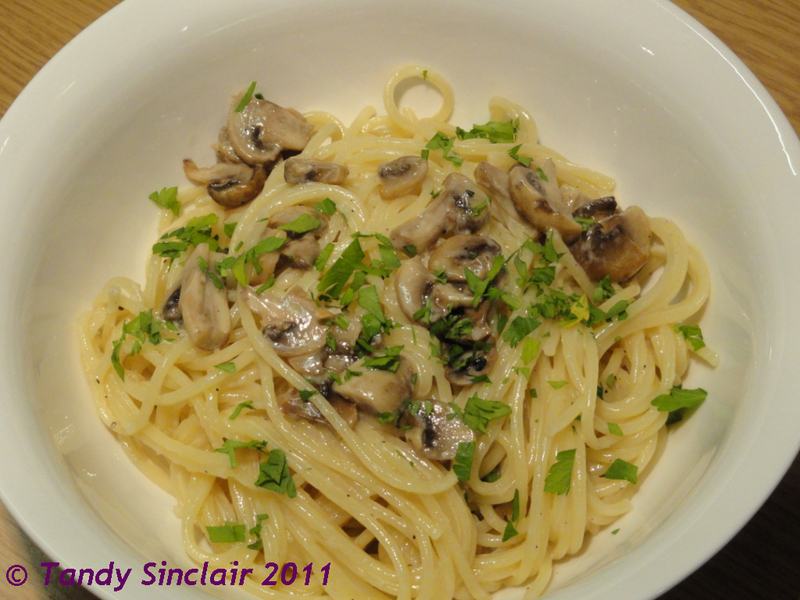 Mushrooms go with everything and it is their versatility I embrace. However, they are also very good for you and should form a part of your daily food requirements. They are rich in Vitamin D and will help fight off the common winter cold. This super food is, in my opinion, highly underrated. The common white or button mushroom is widely available and can be eaten raw or cooked, whatever takes your fancy. Do not expose your mushrooms to water when cleaning them and do not crowd your pan full of mushrooms when cooking them. This recipe was inspired after our olive oil tasting at Morgenster and I am going to make much more use of my truffle oil than I have in the past. Great pasta dish. Thanks for sharing. i’m also a mushroom lover anf hude park woolies has starte getting some more varieties. Have a wonderful trip and looking forward to hearing all about it when you get back. Forgot to say – try a few drops of truffle oil on a thick celeriac or mushroom (containing dried ceps) soup. Are you using white or black truffle oil, I wonder. Black, I assume? I’ve had white truffles only twice and I have to say they were sensational. Have a good day, departure tomorrow hey?